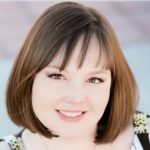 Business Solutions By Design, LLC — founded by Amanda Davis — is full-service accounting firm in Albuquerque, NM. They offer accounting, bookkeeping, and financial consulting services. They are also certified QuickBooks Proadvisors and can assist with QuickBooks setup, training, and troubleshooting. Work For Business Solutions By Design, LLC? Claim This Page.